The C-17 Globemaster is a 4-turbofan engine strategic heavy transport aircraft, developed by the American company Boeing IDS. 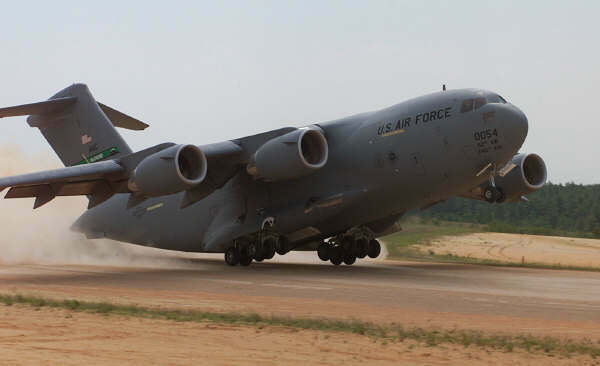 The C-17 can support troops on the frontline by its capacity to land and takeoff from forward operating bases and unpaved runways. It was specially developed for the United States Air Force. The Globemaster was developed by the more need of heavy transport and the new vehicles in the US Forces which became more heavier. It's the most advanced transport aircraft in the USAF and is very useful for peacekeeping operations and humanitary missions. 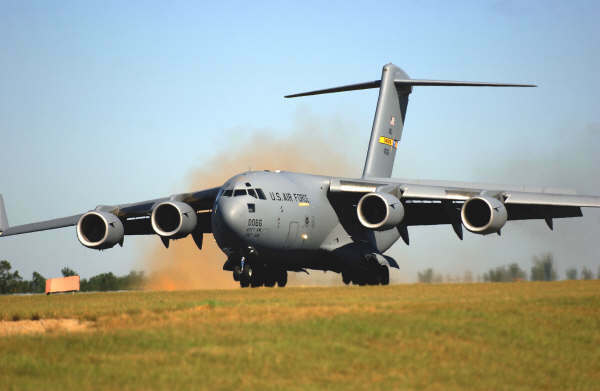 The C-17's are in service with the Air Mobility Command from Charleston AFB, S.C. and operate by 437th Airlift Wing and the 315th Airlift Wing. The last wing is part of the US National Reserve. For most Western countries and other states, the C-17 is ultimate military transport aircraft concerning advanced technology, payload and range. 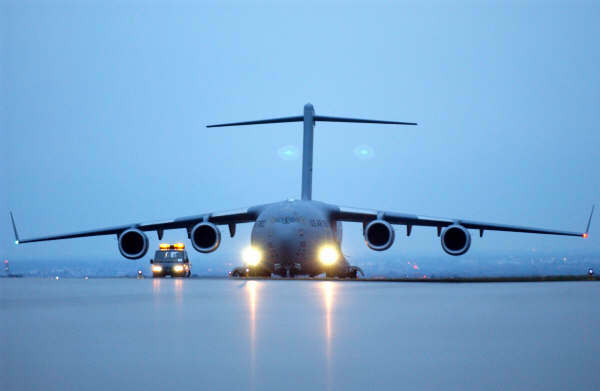 The C-17 is also the most expensive aircraft on the military transport aviation market. 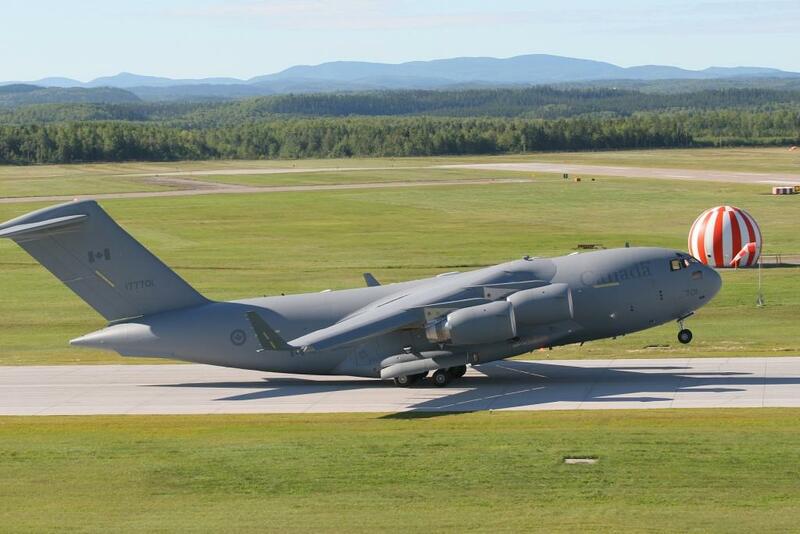 The Royal Australian Air Force (RAAF) has 8 C-17A Globemaster III airplanes. After the United-Kingdom, the Australian Air Force (RAAF) is the second export country which purchased the C-17A Globemaster III. The RAAF will get 3 C-17s with an option of one more. The first will be delivered at the end of 2006. All aircraft will be stationed with the 36e squadron on Richmond AFB. 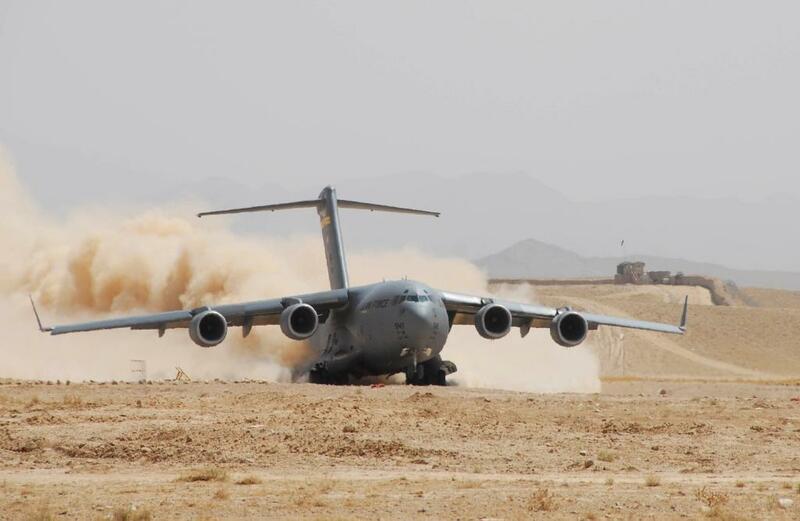 The C-17 causes a large increase of the current airlift capacity. One in service, the Air Force will be able to self-deploy their helicopters (like the UH-60 Back hawk) and tanks (like the M1 Abrams) for missions worldwide. They are a addition of the current C-130H Hercules airplanes. Besides the purchase of the 3 (4) globemaster, also 2 reserve F117-PW-100 engines, 4 AN/AAQ-24V infra-red countermeasuring systems and 15 AN/ASV-9 night vision goggles have been ordered. 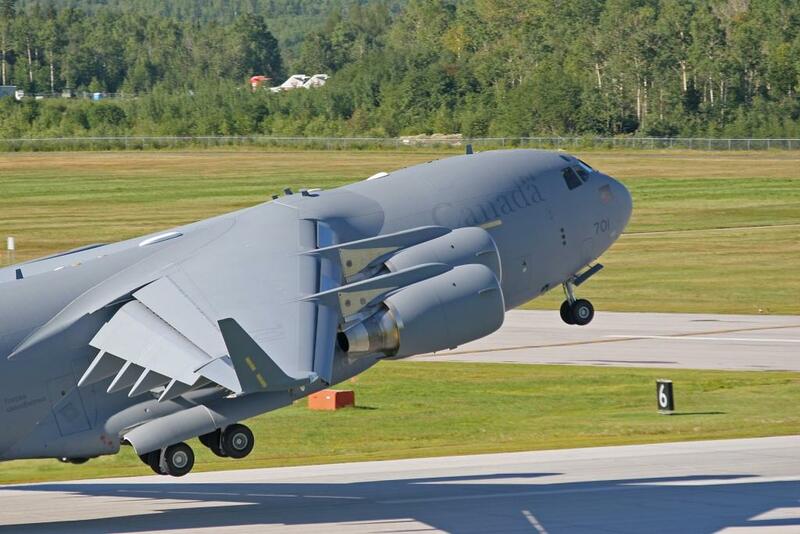 The air part of the Canadian armed forces has 4 C-17's on order. The first of these was delivered on August 10th, 2007 to the Canadian Air Force. On 20 August the third C-17 was delivered. On 22 July the second C-17 was delivered. On 11 June the first C-17 was delivered. On 13 February 2014, the first C-17 was delivered. Some NATO countries have purchased 3 C-17 Globemasters. These 3 C-17's which have already been delivered have their home base in Hungary. The air force of Qatar has ordered 2 C-17 Globemasters in July 2008. These aircraft will be delivered in summer 2009. 2 more were ordered later. 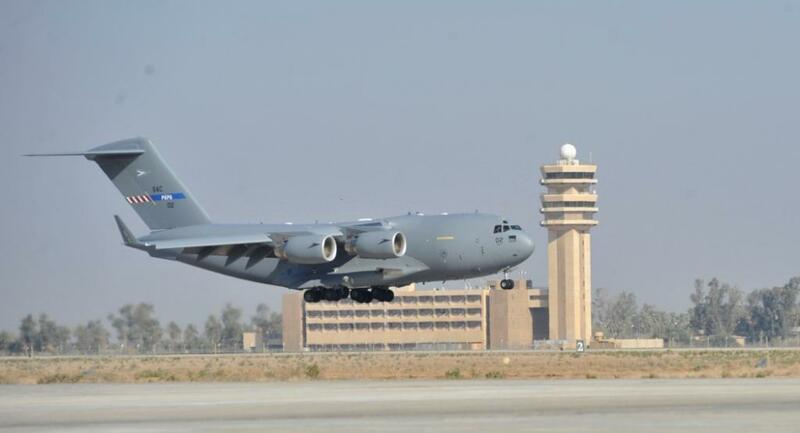 In June 2015, Qatar ordered 4 more C-17's to double their fleet of C-17's. In January 2010, Boeing confirmed the delivery of 6 C-17's to the Air Force of the United Arabian Emirates Air Force (UAEAF). The British Air Force (Royal Air Force) has 4 C-17A airplanes leased from the manufacturer for 7 years with a option for 9 years more. These airplanes where a solution to fill the requirement of the British Air Force to have a Strategic Airlift capacity. The planes are mainly used for transport to forward bases. A 5th and 6th C-17 were later purchased. The other 4 will be bought when the wet lease contract is over. 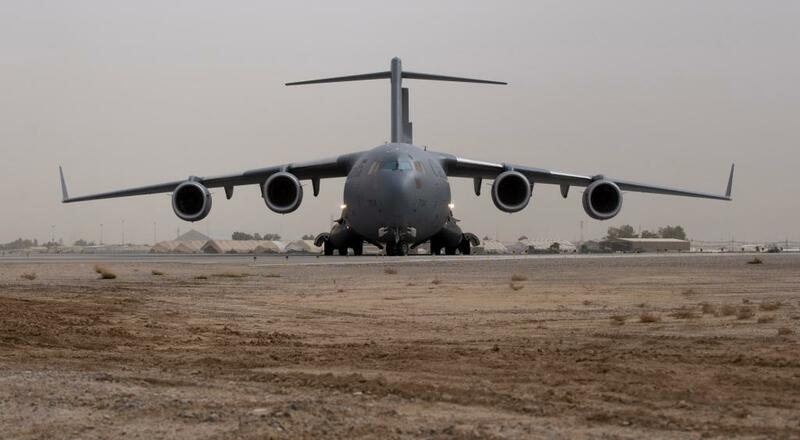 In december 2009, Boeing announced that the Ministry of Defence has signed for a 7th C-17 because of the urgent need for additional airlift capability. The C-17 has been delivered on November 16th, 2010. In March 2012 the MoD signed a order for a 8th C-17. In January 2013, 2 C-17's were used to transport French military equipment to Mali. In february 2012, Boeing delivered the 216th C-17 to the US Air Force. In August 2013, 222 C-17's have been delivered.